Hello, my fellow tea-drinkers! We’ve taken a wonderful month off of blogging duties. It was a much-needed respite after the craziness of the holidays. 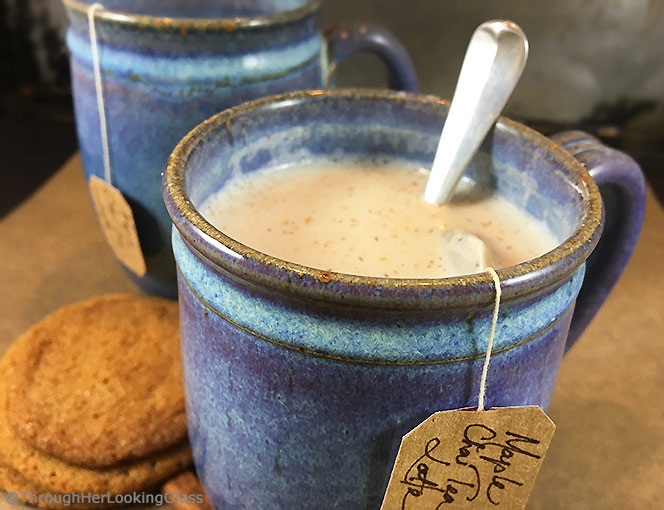 We’d like to jumpstart our 2019 Recipe Roundup with this delish recipe for Maple Chai Tea Latte from Through Her Looking Glass. Heat milk until steaming (not boiling) in the microwave or in a saucepan on the stovetop. Pour steaming milk over chai tea bag(s) in mug and steep 3-5 minutes. Optional : lightly dust with ground cinnamon, nutmeg or allspice. Hope this recipe warms you right up!